At the same time, instead of taking part in public administration and making consistent “national” adjustments to the Hetmanate’s political course, the Ukrainian opposition was in fact undermining national statehood. For example, none of the members of the Ukrainian Party of Socialist Federalists and other Ukrainian political parties accepted Interior Minister Ihor Kistiakivsky’s invitation to assume such offices as members of the Interior Ministry Board and governorate starostas, including one in the Kyiv region. And although these offices were responsible for key administrative appointments in the center and in the provinces, “conscientious Ukrainians” in fact eschewed state-formation activities and paved the way for anti-Ukrainian forces to the state apparatus. By contrast with the previous Central Rada government which addressed the questions of international representation by way of notes or oral statements, rather than on the basis of international law or domestic laws, the Hetman tackled this problem on a thoroughly legal basis. The emergence of the Ukrainian State on the international arena put on the agenda the problem of recognizing the institution of hetmanship with due account of its legal insignia, titles, forms of address, which were based on Ukrainian hetmanite traditions and had not yet been used in diplomatic practice at that time. Germany and Austria-Hungary were the first to officially recognize the Hetman’s rule as early as May 2, 1918. A few days later, Bulgaria and Turkey did the same. Denmark, Persia, Greece, Norway, Sweden, Italy, and Switzerland also sent their representatives to Kyiv, which in fact meant recognition of Ukraine. The hetman set a goal to spread Ukraine’s influence on a wide span of the so-called Cossack territory from the Caucasian Black Sea Coast to the Caspian Sea. Populated with the Don, Kuban, Terek, and Ural Cossacks, Caucasian peoples, Kalmucks and Kazakhs, this territory also included strong enclaves of Ukrainian colonists who had settled as far as the Pacific coast. The formation of a strong alliance with Cossack political entities and Caucasian states offered a real opportunity to curb Russian imperialism, the chief enemy of Ukrainian independence. 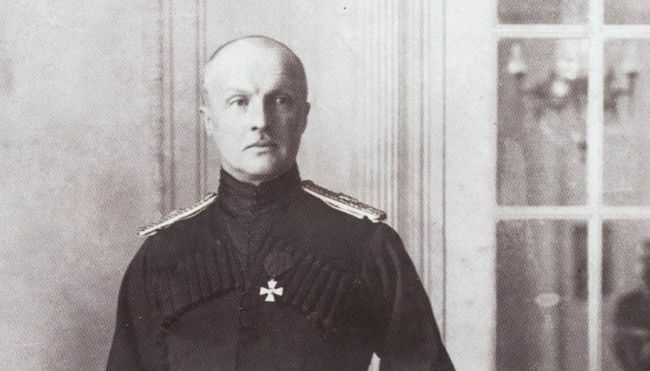 Agrarian Minister Volodmyr Leontovych had drawn up a land reform project by early November 1918. It envisioned compulsory buyout of big land manors by the state and their distribution among peasants under the supervision of the State Land Bank at the rate of not more than 25 dessiatines (1 dessiatine = 1.1 hectare) per farm. Only the farms of agricultural importance of up to 200 dessiatines were exempt from takeover. According to experts, this law was one of the most democratic in comparison with other countries’ land laws. If carried out, this reform could have given an impetus to a rapid socioeconomic growth of Ukraine. This could help create a land system based on self-sufficient individual medium-scale farms, which was supposed to breed an economically sound and independent stratum of grain-growers, the backbone of the Ukrainian state. The hetman and his inner circle understood that only a social stratum that owns and, at the same time, generates means of production can play a decisive role in the ongoing struggle between Bolshevism and Ukraine. Cossacks could become this stratum, for they upheld the traditions of a free ownership of land and weapons and were keenly interested in the existence of the institutions of private land property and a stable nation state that would protect them. The formation of a strong and organized Cossack estate could help solve the problem of the size of private land property, assert the private and hereditary ownership of land, and establish the right to own land depending on participation in fighting the foreign enemy and defending Ukrainian state borders. From this angle, it is quite logical that the restoration of hetmanship resulted in the revival of Cossackdom as the estate that formed the basis of the First Hetmanate. Cossackdom reemerged on the basis of a law – the Decree of the Hetman of All Ukraine dated October 16, 1918. Cultural activities during the Pavlo Skoropadsky era relied on the art-patronage tradition of Ukrainian hetmans who sponsored the general national trend in the development of Ukrainian culture. From Petro Konashevych-Sahaidachny, who signed up, together with all of the Zaporozhian Host, to the Kyiv Brotherhood and supported the foundation of the Kyiv Mohyla College, to Kyrylo Rozumovsky – all the Ukrainian hetmans were self-denying guardians of education and science. Even in the short period of his hetmanship, Skoropadsky founded two Ukrainian universities – in Kyiv and Kamianets-Podilskyi – and the Ukrainian Academy of Sciences. The hetman did not intend to confine himself to opening two Ukrainian universities. It was planned to establish Ukrainian universities in Odesa and Kharkiv by reorganizing the existing Russian universities, as well as in Katerynodar (Kuban) and Simferopol (Crimea). Notably, all the Ukrainian secondary schools set up by the Ukrainian public in the Central Rada period became subject to governmental funding and, at the same time, a large number of new state-funded Ukrainian primary schools were opened. Indeed, Skoropadsky’s short-lived Second Hetmanate showed that Ukraine received a historical figure that managed, in the extremely difficult conditions, to steer the ship of Ukrainian statehood out of the quagmire of chaos and anarchy, heedless political demagogy, fruitless social experiments, and unsatisfied societal demands, into the constructive channel of law and order. Hetman Skoropadsky’s statist measures were the material that allowed the leader of Ukrainian conservatism, Viacheslav Lypynsky, to write a political treatise, “Letters to Brothers-Agrarians,” and arm Ukrainians with theoretical and practical instruments of state formation. Skoropadsky’s activities make it possible to rank him with good reason as one of the most effective statesmen in Ukrainian history and an outstanding state-builder of Europe. It is quite logical to draw a parallel between Bohdan Khmelnytsky and Pavlo Skoropadsky. The abovementioned Ludwik Kubala’s characteristic of the First Hetmanate’s leader, who ruled in 1648-57, is also fully applicable to Skoropadsky. Both of them were thrown to the surface of political life by large-scale social upheavals, although neither was a “revolutionary.” Both were trying to put the rough sea of people into the channel of a new national political life. In his activities, Khmelnytsky relied above all on the Cossacks and was attracting all the other strata, including the nobility, to cooperation. Skoropadsky restored the same process in modern conditions, but in an extremely compressed time dimension. He demonstrated a style of governance that shared the universal features typical of the outstanding statesmen of Modern- and Contemporary-History Europe. The hetman had to maintain statehood, suppressing the resistance of anti-national factors among both the lower and upper classes of society. Unfortunately, the hetman found no understanding or support from the socialist majority of the then Ukrainian politicians on the thorny path of nation state formation. Skoropadsky and the Second Hetmanate he established became an object of biased political assessments, unfair claims, unjustified negative mythmaking, and outright falsifications for a long time. We can still hear the “assessments” of Skoropadsky as a representative of the exploiting classes, a tsarist general, a German underling, the proponent of a “single undivided Russia,” etc. The abovementioned facts convincingly disprove these and other similar characteristics. It is the Second Hetmanate that staunchly protected private property as foundation of Ukraine’s civilizational existence and stiffly resisted the Russian socialist revolution which brought to Ukraine unheard-of terror, collectivization, manmade famine, genocide, a brazen robbery of its material resources, and a barbaric destruction of its spirituality. We can only guess what Ukraine would have become like if Ukrainian socialists and Bolsheviks had not done their Cain-style work and had not destroyed the Second Hetmanate. But history does not like the conditional mood.